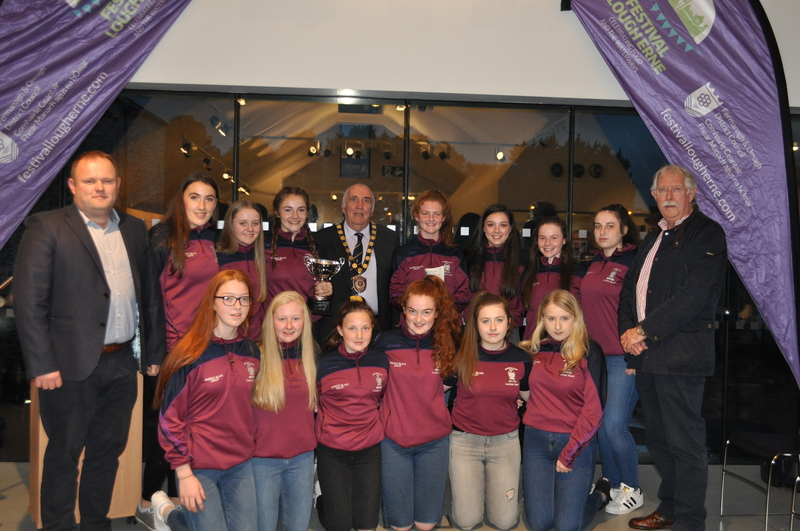 On Thursday 13 September 2018 Chairman of Fermanagh and Omagh District Council, Councillor Howard Thornton, hosted a reception at Enniskillen Castle, Fermanagh County Museum, in honour of the Enniskillen Under 15’s and Under 18’s Ladies Rugby teams. Speaking at the reception, Councillor Thornton said, ‘As Chairman of Fermanagh and Omagh District Council, I am delighted to welcome you all to the award winning Fermanagh County Museum this evening for this reception. 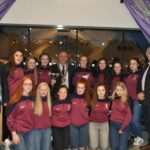 I would like to extend a particularly warm welcome to both Enniskillen Ladies Under 15 and Under 18 squads who won their respective Ulster Cup competitions and in whose honour this evening’s reception is being hosted. In my capacity as Chairman of the Council, I am afforded the opportunity to recognise the achievements of individuals and groups from within the district who have brought great honour and distinction to the district and tonight, it is the turn of both these very successful teams. This is the first time that this particular feat has been achieved by any club and you should be rightly proud of your success. It is clear that your dedication to the sport and the tremendous work carried out by your coaches has led to a significant improvement in your performances as evidenced by your success. 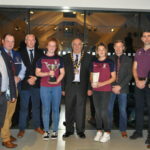 Sunday 25 March was certainly a red-letter day for Enniskillen Rugby Club Ladies section when the U-15’s and U-18’s travelled to the Mid Ulster Sports Arena in Cookstown for the Ulster finals. The U-15’s were first up and the artificial surface certainly proved to your liking. Victory over local rivals Clogher Valley on a scoreline of 31-10 was followed by a 36-0 win over Letterkenny which set up a final against Cavan team, Virginia. 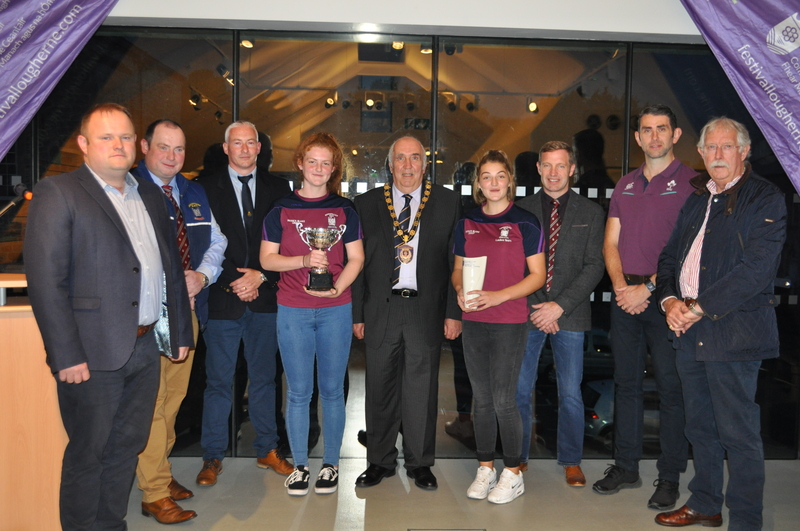 By this stage, the Enniskillen team were playing with great confidence and skill and like the other teams, Virginia were put to the sword as Enniskillen secured the first part of the double with a 22-0 victory. This was an indication of the improvement in this young team under your coaches James and John, and just reward for a tough campaign. This put the pressure on the U-18’s to deliver and they were not to disappoint. A superb all round team performance saw you account for a strong Larne team 51-15 in the final and the second trophy of the day was secured. This was just reward for your endeavours throughout the season and you certainly did your coaches Robbie and Davy proud. Further proof of the progress which the ladies section has made was that India, Zara and Lauren were all selected to represent the Ulster U-18 “ 7’s” team in April and the full Ulster U-18 squad in the inter-provincials in Ballinasloe at the start of this month. You are tremendous ambassadors for your club, your coaches and your district. The teams draw representation from all the post primary schools in the town and enjoy cross community support. Sport is a tremendous unifier and friendships established on the sports field are friendships for life. All of this would not be possible without your coaches and a small but dedicated group of parents who chauffeur, cook and support the teams. Everyone has a role to play and each is a vital component in the wheel of success. On your behalf, I would like to thank the coaches, parents and the committee of Enniskillen Rugby Football Club for the support they offer you in order that you can play the game you love. I would like to finish by wishing you continued success for the incoming season.’.